The Finnish Spitz is a working breed which in his native country is used to seek out game. He is medium sized and square shaped with a medium length coat which protects him in all weathers. He is lively and active and needs an owner who has these qualities as well. He needs to live in a house with a garden and should have plenty of exercise every day. His thick coat needs care and should be groomed very regularly. EPS is a measure of how many individuals are contributing genetically to a breed population. It is a measure of the size of the gene pool in a breed. Lower than 100 is considered critical by conservationists and below 50 brings a breed close to extinction. For more information see the Kennel Club article. The Finnish Spitz is free from exaggerations but his thick coat makes him more suited to cold climates. He will easily overheat in warm weather conditions. Availability of a DNA test does not mean that it is always necessary or even desirable for breeders to use this test. Good breeders will have followed the recommendations of the appropriate breed clubs, Kennel Club and/or other qualified experts. Ask the breeder to show you the certificates for the above tests/screening for both parents. If any of the above tests have not been considered necessary by the breeder (and there may be good reasons), ask her to explain why. Ask the breeder about the medical history of the parents, grandparents and great grandparents. Consider carefully whether to purchase a puppy if some of these or other diseases are in the family line. Ask about the breeder’s policy in cases of serious genetic diseases occurring to your puppy in later life. Good breeders will request to be informed of such events in order to improve future breeding decisions. Some breeders will also agree to contribute towards medical costs or refund purchase price. A more detailed and scientific website which also assesses the welfare impact of genetic diseases and traits. 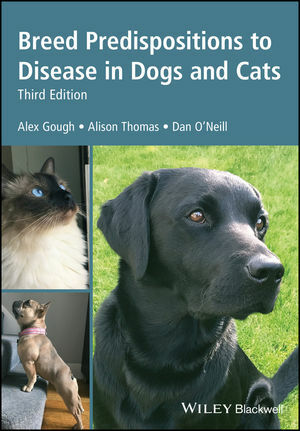 University of Cambridge, Dr David Sargan, Inherited Diseases in Dogs (IDID). IDID is a searchable site containing short descriptions of diseases for which there is strong proof of inheritance in the veterinary scientific literature. There are links to scientific publications about those diseases. Very complete in terms of breeds represented, and on modes of inheritance, mutations where known, and DNA tests. A Canadian based veterinary database of genetic diseases in dogs which provides information to owners and breeders aimed at reducing the incidence of those diseases. The IPFD is a registered non-profit organisation based in Sweden which aims to facilitate the collaboration and sharing of resources to improve the health,well-being and welfare of pedigree dogs and all dogs worldwide. DogWellNet.com is the internet platform of the IPFD which seeks to build a worldwide community for all those involved with dogs. Its slogan is, From Information to Action. Welcoming a dog into your life and into your home is one of the most rewarding and enriching experiences you will ever have. Dogs are good for us. They give us unconditional love, loyalty and a sense of fun. They teach us to live in the moment and enjoy the simple things in life. In return we should give them the care, support, and enrichment they need to live life to the full as a dog. 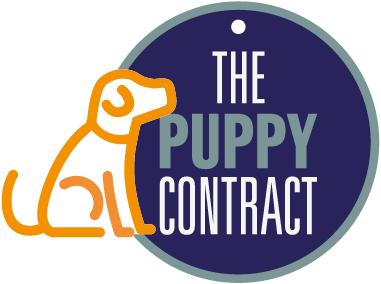 The Puppy Contract has been designed as a tool to encourage the responsible breeding and buying of puppies. It ensures that buyers have all of the information they need to make an informed decision when buying a puppy. It also allows responsible breeders to demonstrate the care and attention they have put into breeding puppies with the best chance of being happy and healthy. An easy to use online facility for prospective puppy purchasers. Excellent advice on finding a good breeder and a healthy puppy. Not breed specific. (DBRG) is a charitable trust set up in 2015 to campaign for the improved regulation of dog breeding and better enforcement of the Animal Welfare Act 2006. It aims to inform the public about the welfare issues associated with dog breeding. It provides puppy buyers with the tools they need to ensure purchase of a healthy puppy bred to high welfare standards. If you find the Dog Breed Health website helpful, please make a donation to The Dog Breeding Reform Group charitable trust.